Liberal bias is partisan selection or distortion of information to support liberal policies. This bias can be expressed by professors and public school teachers, College Board exams, reporters and other journalists in mainstream media, and any other information source. Typically purveyors of liberal bias falsely present themselves as being objective. Liberal bias includes techniques such as distorted selection of information, placement bias, photo bias and liberal style. There is a difference between being liberal, having a liberal perspective, and having a liberal bias. 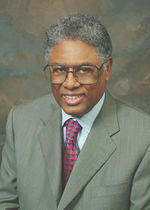 Economist Thomas Sowell in his book published in 1996, The Vision of the Anointed, discusses the anointed vision of liberals and liberalism to promote their agenda. In March 2010, liberal evolutionary magazine the National Geographic, postulated that liberals and atheists may be more evolved than conservatives, according to conclusions by Satoshi Kanazawa, an evolutionary psychologist. Kanazawa states "people with higher levels of intelligence are more likely to adopt social values and behaviors that are relatively new to human life—liberalism, atheism, staying up late, and (for men) monogamy, for example." Kanazawa also defines liberalism, in part, as caring about the well-being of vast numbers of people you'll never meet, and states that this "is a very new thing for humans." In a response to the National Geographic pretensions, James Lewis in the American Thinker notes that the vast majority of "educated people before the 20th century in Western countries were conservatives", but that "IQ doesn't predict street smarts or (obviously) political success on Capitol Hill". The famous Bible commentator, Matthew Henry adds, "As a profession of wisdom is an aggravation of folly, so a proud conceit of wisdom is the cause of a great deal of folly." 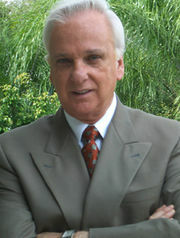 A 2005 report by Tim Groseclose and Jeffrey Milyo political scientists at UCLA concluded that, based on estimated ideological scores, all of the news outlets they examined, except Fox News’ Special Report and the Washington Times, showed a strong liberal bias (scores to the left of the average member of Congress). Of the 20 major media outlets studied, 18 scored left of center, with CBS' "Evening News," The New York Times and the Los Angeles Times ranking second, third and fourth most liberal behind the news pages of The Wall Street Journal. Only Fox News' "Special Report With Brit Hume" and The Washington Times scored right of the average U.S. voter. Talk to any Fox News hating-liberal and you'll here the same old regurgitated talking point- Fox is not Fair & Balanced. One network, Fox News has twice the number of opposing commentators than does all media sources combined. 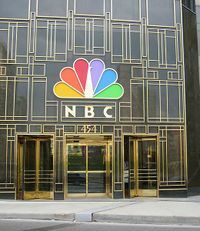 If you add up the major media properties; ABC, NBC, CBS, MSNBC, CNN, PBS, New York Times, Washington Post, and Newsweek -- you get a total of five so-called conservatives personalities among hundreds of liberals. At the least, Fox News employees the following liberals. Likewise, Che Guevara, once labelled "Castro's brain," and who swore by Stalin and once boasted "I am all the contrary of a Christ (and who was an early role model for Christopher Hitchens, ) "stated, "A foreign reporter -- preferably American -- was much more valuable to us at that time (1957) than any military victory. Much more valuable than rural recruits for our guerrilla force, were American media recruits to export our propaganda." Herbert Matthews, of the New York Times reported, (July 1959) "This is not a Communist Revolution in any sense of the term. Fidel Castro is not only not a Communist, he is decidedly anti-Communist." The Vietnam War, in which America was the victor in military battles, is perhaps the most manifest modern example of how propaganda affected the outcome of a war, with much of the mainstream media being an all too willing instrument of such, especially CBS News with Walter Cronkite. The Tet Offensive was portrayed by the New York liberal media as a defeat for the U.S., while in fact, it was an almost disastrous defeat for the North Vietnamese, as General Westmoreland and historians agree. The Viet Cong not only lost half of the 90,000 troops they had committed to battle, but it was virtually destroyed as an army. For the first time in modern history, the outcome of a war was determined not on the battlefield but on the printed page and television screens - never before Vietnam had the collective policy of the media sought, by graphic and unremitting distortion, the victory of the enemies of the correspondents own side..
What prompted us to make our readers believe that the Communists, once in power in all of Viet Nam, would behave benignly? What made us, first and foremost Anthony Lewis, belittle warnings by U.S. officials that a Communist victory would result in a massacre?... Are we journalists not in part responsible for the death of the tens of thousands who drowned? And are we not in part responsible for the hostile reception accorded to those who survive?...However, the media have been rather coy; they have not declared that they played a key role in the conflict. They have not proudly trumpeted Hanoi's repeated expressions of gratitude to the mass media of the non-Communist world, although Hanoi has indeed affirmed that it could not have won "without the Western press." CBS Evening News with Walter Cronkite regularly carried news reports from its Moscow Bureau Chief, Bernard Redmont. When peace negotiations commenced with North Vietnam in Paris, Redmont became CBS News Paris Bureau Chief. What Redmont never reported during the ten year conflict was, Redmont had been a KGB operative since the 1930s, and member of the notorious Silvermaster group. Redmont was the only journalist to whom his fellow Comintern party member, and North Vietnamese chief negotiator, Mai Van Bo, granted an interview to bring the Communist point of view into American living rooms in what has been called, "the living room war." The single most explicit example of such biased reporting is typically seen to be the portrayal of the TET offensive, in which western media was charged with inspiring and aiding the propaganda war of the communists. In addition to Cronkite's biased reporting, FBI documents, obtained through a Freedom of Information Act by Yahoo news, evidence that legendary CBS News anchor Walter Cronkite collaborated with anti-Vietnam War activists in the 1960s, going so far as to offer advice on how to raise the public profile of protests and even promising that CBS News would rent a helicopter to take liberal Senator Edmund Muskie to and from the site of an anti-war rally. During the Vietnam War, the Soviet Union was the principal ally of Communist North Vietnam, providing weapons and training in what was a major conflict of the Cold War that took 58,000 American lives. CBS Evening News with Walter Cronkite regularly carried news reports from its Moscow Bureau Chief, Bernard Redmont. When peace negotiations commenced with North Vietnam in Paris, Redmont became CBS News Paris Bureau Chief. What Redmont never reported during the ten year conflict was, Redmont had been a KGB operative since the 1930s, and member of the notorious Silvermaster group. Redmont was the only journalist to whom his fellow Comintern party member, and North Vietnamese chief negotiator, Mai Van Bo, granted an interview to bring the Communist point of view into American living rooms in what has been called, "the living room war." The selective and editorial reporting of the Vietnam war is often cited as a manifest example of liberal bias in the mainstream media, with Hanoi reportedly affirming that it could not have won "without the Western press." The mainstream media including the LA Times had been guilty of being silent regarding the John Edwards affair that the National Enquirer had broke in October 2007. The Enquirer followed up with a publication in December of 2007. Then in July 2008, the Enquirer had confronted Edwards at the Beverly Hilton hotel after he spent the entire day with his mistress. After Edwards admitted the affair on Friday August 8th, the mainstream media finally reported the scandal, including the LA Times. In an article titled "Mainstream media finally pounce on Edwards' affair", the LA Times declared that they had been pursuing the story prior to Friday. But they gave no excuse for hiding this from the American public. They have showed their true liberal bias by not reporting the story earlier. Then making an attempt to further fool the public by saying they were pursuing the story, when in fact 10 months had lapsed. Plus, nowhere in the article does it mention the Edwards is a Democrat. To the credit of the LA Times, they do mention that Democratic party strategists say Edwards needs to address the story, at the very bottom of the article. Protection of fellow liberal Democrats by the LA Times is more important than being a honest news organization. Peter D. Feaver of the Boston Globe noted on the sixth anniversary of the September 11, 2001 terrorist attacks that MoveOn.org ran a full-page advertisement in the New York Times accusing General David Petraeus of activities befitting a traitor. The advertisement alleges, without evidence, that Petraeus would not give an honest, professional assessment of Operation Iraqi Freedom. Feaver noted, "The MoveOn.org ad is vicious ... a deliberate attack on the senior Army commander, in a major daily newspaper, with the intention of destroying as much of his credibility as possible...part of an elaborate effort to undermine public support for the Iraq war, and was foreshadowed by an unnamed Democratic senator who told a reporter, "No one wants to call [Petraeus] a liar on national TV . . . The expectation is that the outside groups will do this for us." The effort is funded by powerful special interests, and has all the trappings of a major political campaign. Within a day it was discovered the New York Times gave MoveOn.org a “hefty discount” for its ad questioning Petraeus’ integrity. According to the director of public relations for the New York Times, “the open rate for an ad of that size and type is $181,692.” A spokesman for MoveOn.org confirmed that the liberal activist group paid only $65,000 for the ad - a reduction of more than $116,000 from the stated rate. In July, 2008, the New York Times rejected an opinion piece written by John McCain, which was responding to earlier piece written by Barack Obama. This came after the New York Times had previously published at least seven op-ed pieces by McCain since 1996, and endorsed him in the 2008 Republican Presidential primaries. The reason the New York Times cited for the July 2008 rejection was that they were asking the McCain campaign to provide a more substantive piece which would contrast his positions with the details of the Obama piece on a point-by-point basis. In addition, on Nov. 13, 2006 Newsweek featured an article by atheist Sam Harris, who sees Christianity as "incompatible with genuine morality", based upon his own objectively baseless and mutable moral authority. As noted by Don Feder in response to a Newsweek article titled, “America’s God Complex – Like George W. Bush, The Religious Right Is At The Crossroads” Newsweek advocates a faith that does not take moral stands or become involved in changing moral policy. The taxpayer-funded Public Broadcasting Service has become a left-leaning channel for the liberal viewpoint. This despite the 1985 rule that all PBS shows must be "noncommercial, nonpartisan and nonsectarian." Their tax-subsidized programming includes celebrating lesbian-feminist choirs, “transgender” riots, and a liberal teenager fighting against abstinence education. As part of its wave of secular fundamentalism, PBS celebrates even late-term abortionists with a fanaticism. The PBS show NOW was devoted to smearing the pro-life movement as terrorists  In a fake display of following the rules, 300-plus PBS stations have been instructed to avoid any kind of religious programming. PZ Myers, professor and blogger. Many conservative and a few liberal commentators have remarked on the seeming extraordinary favor shown toward Barack Obama during his candidacy, and presidency. A 2008 comprehensive analysis conducted by the Media Research Center of every evening news report by the NBC, ABC and CBS television networks, showed that positive stories about Obama since he came to national prominence outnumbered negative stories 7 to 1. During the Presidents candidacy, MSNBC Hardball host Chris Matthews stated, "Yeah, well, you know what? I want to do everything I can to make this thing work, this new presidency work,..."
In November 2008, Mark Halperin of Time and ABC News criticized the media coverage of the 2008 presidential race, stating, "It's the most disgusting failure of people in our business since the Iraq war." "It was extreme bias, extreme pro-Obama coverage." Education in America, especially at its higher levels, is typically seen by conservatives as promoting liberalism and helping to promote moral decline. A most egregious example is the continued use of A People's History of the United States, by Howard Zinn, which is a radical left-wing revision of history. Zinn explicitly stated that "objectivity is impossible and it is also undesirable", as he advocated and practiced making the writing of history a polemic for change. Liberals are evidenced to make up a disproportionate amount of college faculty. A (disputed) study showed that 50% of American college faculty identified themselves as Democrats and only 11% as Republicans (with 33% being Independent, and 5% identifying themselves with another party). 72% described themselves as "to the left of center," including 18% who were strongly left. Only 15% described themselves as right of center, including only 3% who were "strongly right." When they are in the faculty they then discriminate against the hiring of conservative professors. Research on the political leanings of their university professors by members of The George Washington University Chapter of Young America’s Foundation (GWYAF) found substantial liberal bias in the academy. The school’s faculty gave 92 percent of their political donations ($221,490) to Democratic candidates versus only 8 percent ($20,500) to Republicans in the 2008 primary election. Consistent with this, in the presidential election the ratio was 91 percent to 9 percent. Textbooks used in schools of all ages have also been exposed as promoting a decidedly liberal bias against the nation of Israel. A landmark book called The Trouble with Textbooks, by Dr. Gary A. Tobin and Dennis R. Ybarra described results of a comprehensive study they conducted of the 28 most widely used Social Studies textbooks in the United States. The researchers found that U.S. textbooks often contain "repeated misrepresentations that cross the line into bigotry.” Examples included Jesus being called a Palestinian, Islam being "treated with a devotional tone in some textbooks, less detached and analytical than it ought to be. Muslim beliefs are described in several instances as fact, without any clear qualifier such as Muslims believe...' The Islamic empire of the Middle Ages was presented as “a time of unqualified glory without blemishes”, while various aspects of the wars of Arab states against Israel were misrepresented. One textbook publisher, Teachers Curriculum Institute, has agreed to rewrite its unit on the Middle East after being challenged, and consulting many scholars. The San Fransisco-based Jewish Community Relations Council found that the textbooks were so filled with inaccuracies and biased that they should not be used. Professor, Larry Schweikart notes that most textbooks tend to come from New York, Boston, Washington and Philadelphia, all liberal bastions. As concerns American history, Schweikart sees the "Reagan test" as a consistent indicator of whether a book is politically slanted. The majority of books he has examined credit former Soviet President Mikhail Gorbachev with ending the Cold War, while marginalizing Reagan. In June 2009, Republicans in the House of Representatives have created the Media Caucus to fight the Democrat-aligned media propaganda. I have felt that we have to actually say, ‘We have a point of view about something and we feel strongly about it, we just have to be assertive about it and say it positively.'" Note the convoluted logic which assumes that any criticism of the behavior of members of a group must be due to "bigotry", which is itself a bigoted attack on the critics designed to prevent any consideration of the principles or facts supporting their arguments. "The reason the Times, and to a lesser extent the Post, are so important, and they are, is because the TV and radio - all of the media - copy it sycophantically," he [John Stossel] said. "That's how bias at the Times becomes bias in other media." ↑ Los Angeles Times 1985 survey of 2,700 journalists at 621 American newspapers, Op. cit. ↑ Robert Lichter and Stanley Rothman’s 1981 survey of 240 journalists at top media outlets, Op. cit. This page was last modified on 30 April 2014, at 12:05. This page has been accessed 10,310 times.